While dogs aren’t permitted in the three B&B rooms above the winery, they’re welcome to laze with their families in the one-bedroom, stand-alone Stonehouse also on the property. Dating to 1906, it’s full of character and comes with a kitchen, a sitting room with pullout couch and proximity to a pond where retriever-types can fetch sticks or balls to their hearts’ delight. 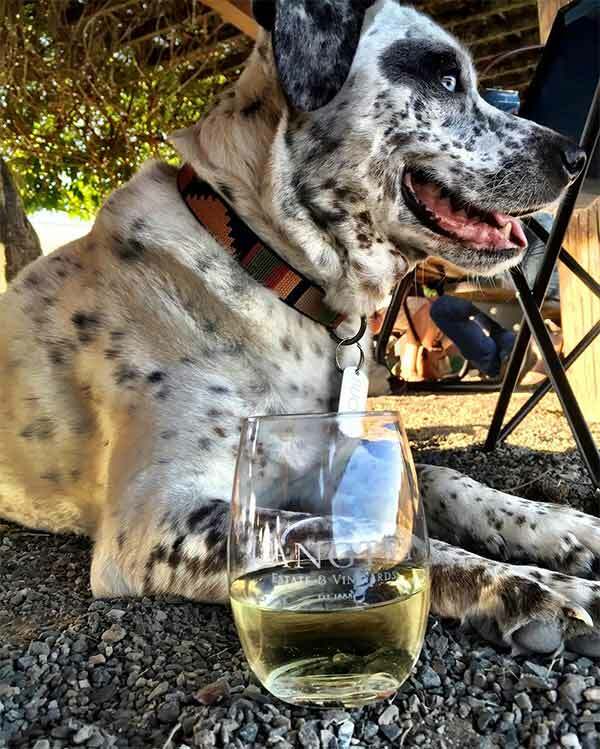 Four-legged visitors are fine off-leash on the property so long as they behave, but need to be connected to their people while on the tasting room patio. 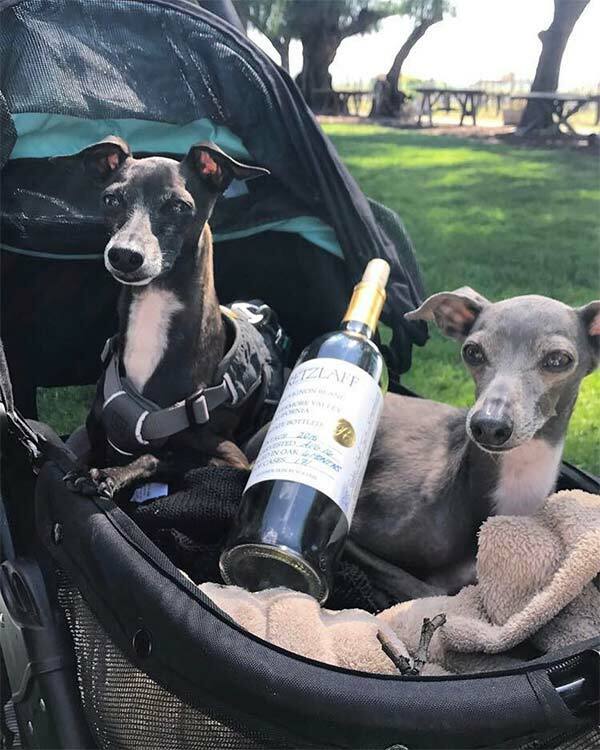 Stonehouse Cellars is kid-friendly as well as dog-friendly, so bring the tribe, pet the llamas and sheep, stroll the vineyards and learn about life on a farm. Be sure to sample the fruit of the vine; reds are the house specialty. While in the area, you might also want to check out Clear Lake, that big puddle of blue in the middle of the map, and Blue Lakes (Upper and Lower), a nearby pair of clear, spring-fed bodies of water ideal for swimming and fishing. Only human-powered craft or those with electric motors are allowed (speed limit is 5 mph), but you can rent an electric “yacht” or pontoon boat from the Lodge at Blue Lakes and pile the family (dogs included) on board for a great day of cruising about.